Double girder open winch with 80/40t capacity, gearbox GHG-4T on the main elevation with M5 working group and fixed hoist GHF with M4 working group in secondary. The span of the crane is 27.78 m and height 15.2 m elevation. and 13.6 m.
Double girder open winch with 2x125t capacity, motor-gearbox Siemens GHI-4T and M5 working group. The span of the crane is 27.78 m and the lifting height 15m. The crane maintenance balustrade consists of both beams, platform on one of the beams in the car and maintaining space for gear motors. Further weighing means has the weighing cell with bolt + detector F.d.c. and 3-speed inverter. It installs with online outlets for unipolar U35/400 Vahle. 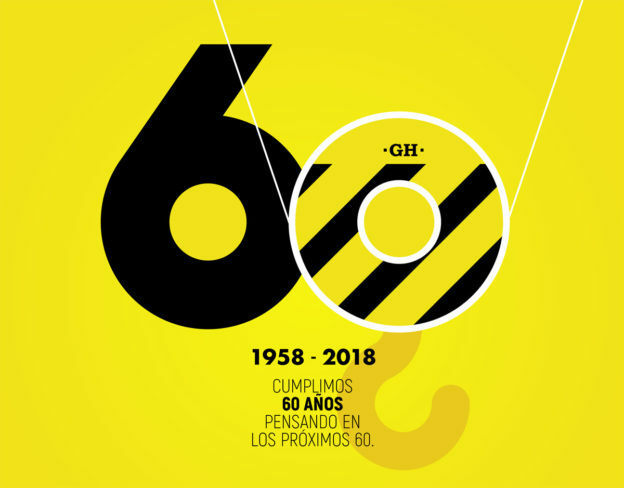 Esta entrada se publicó en Proyectos y productos y está etiquetada con balconcillo, balustrade, barandado, bridges crane, Carro abierto, célula con bulón de pesaje, fixed hoist, GH, GH Cranes & Components, GHF, GHG-4T, GHI-4T, Grúa puente, inverter, línea unipolar Vahle U35/400, maintaining space, Navarra, open winch, plataforma, platform, polipasto fijo de patas, puente grúa, Sakana S. Coop., Siemens, tomacorrientes, U35/400 Vahle, weighing cell with bolt en 2014/07/31 por ghcranes. Crane recently installed in SAKANA, S. Coop. This is been working properly a recently install gantry crane in Sakana, S. Coop. Alsasua. 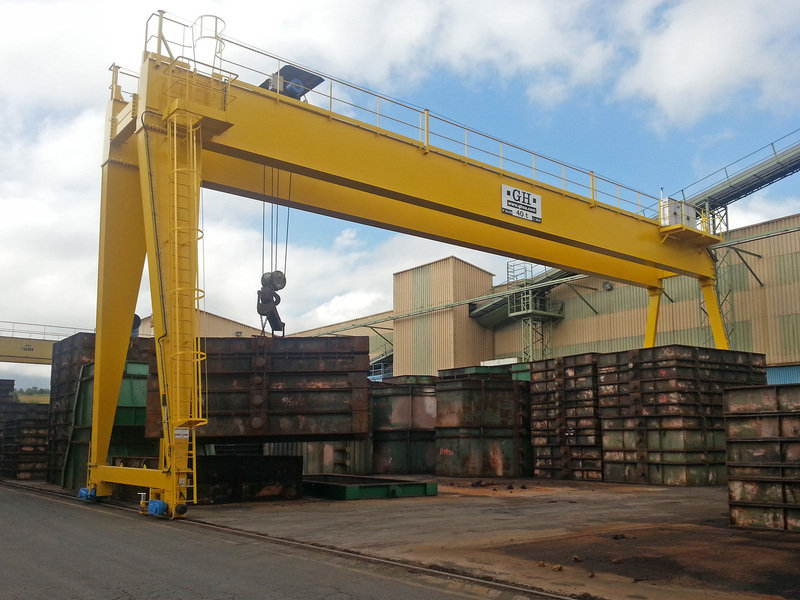 This is a double girder 40t capacity gantry crane that will work with an old GH gantry crane. 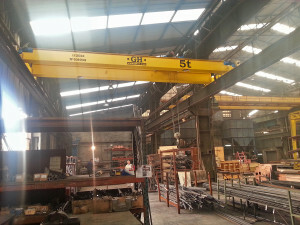 It has also installed a small crane 5t capacity to work inside the workshop. 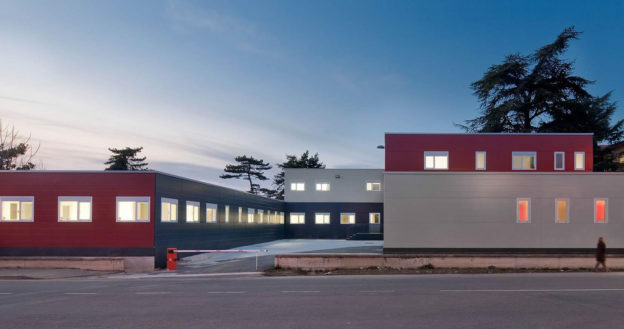 Esta entrada se publicó en Referencias y está etiquetada con 40t, 5t, Alsasua, GH, GH Cranes & Components, Grúa pórtico birraíl, Sakana S. Coop. en 2014/07/23 por ghcranes. This hoist of 5 metric tons of lifting capacity and 12.1 m HOL, has features of brass coated items for wheels or hook to avoid static electricity problems. Also count with sparking cable ERTALON 6PLA. Esta entrada se publicó en Proyectos y productos y está etiquetada con brass, bronce, Canada, electricidad estática, ERTALON 6PLA, GH, GH Cranes & Components, GHE fixed hoist, polipasto fijo GHE, static electricity, WF Welding & Overhead Cranes en 2014/07/16 por ghcranes.